Take them or Toss them? There is a story in our family that we love to tell concerning our older son, who is now old enough not to be embarrassed by amusing stories of his childhood. Like most mothers, I was concerned about my children’s nutrient status, especially since nutrition was my field of study. In addition to providing healthy meals, I also insisted that they take vitamin supplements, just to be sure that they were getting the daily recommendations for these nutrients. Every day after breakfast I would get out the jar of multi-colored, cartoon-character-shaped vitamins and hand out one to each child, hoping that the gimmick of their recognizable appearance would help make the vitamins more palatable. Thinking back, I realize that they probably didn’t taste very good since, in addition to vitamins, they also contained iron, which tends to overwhelm the “yummy fruity flavor” promised on the label. Time passed and the bottles of vitamin pills were emptied and replaced, as each day they were doled out with a certain satisfaction, on my part, that the kids’ vitamin requirements were being met. Behind the bookcase in the boys’ room was a large pile of dusty, cartoon-character-shaped vitamins that had been tossed there, one-by-one over several years. When confronted with the evidence, our older son admitted that the pills tasted “yucky,” so each day he had taken the vitamin pill and disposed of it behind the bookcase! Believe it or not, there are some health experts that would say that my son was wiser than I was when he tossed the vitamins rather than taking them. Vitamin supplementation is a very controversial subject, with influential health experts lining up on all sides of the debate. The questions abound. Should we take supplements at all? Are natural supplements better than synthetic? What form should the supplement take? How much is enough? How much is too much? In addition, there is a great deal of money, billions of dollars, to be made in the supplement business. Although there are reputable companies who base their products on reliable research, the waters can be muddied by those who have a monetary stake in convincing us to buy their supplement products. 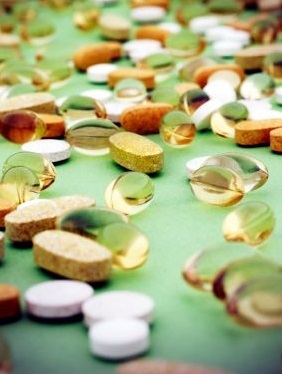 It is a tricky business to come to any hard and fast conclusions about the effect–positive or negative-of vitamin supplements, because of the variety of supplements available, and because each of us is an individual with unique circumstances of physiology, lifestyle, heredity, diet, ethnicity, nutrient status, environment and even personality. When studying human beings, it is difficult, if not impossible, to control all of the potential variables that can exist in such a diverse species. In other words, you can conduct a study where a certain select group of people take the same vitamin supplement for a proscribed period of time and then see how their health differs at the end of that interval, but you will have to take into account that the differences may be based on some variable other than the supplement, a variable you may not have thought of or that you cannot control. In addition, at best, the researcher may only make a conclusion about that particular vitamin pill and not vitamin supplements in general. -The elderly may require supplementation as their appetite and ability to obtain and absorb nutrients may require it. -Those on prescription drugs that may interfere with vitamin absorption should talk to their health care professional about supplementation. -In certain cases, therapeutic doses of vitamins may be given if disease or malnutrition is found. 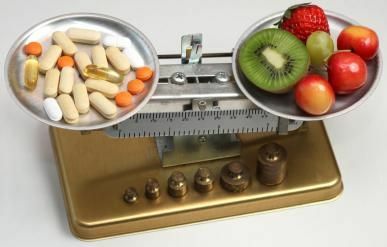 -Although vitamin deficiency diseases such as scurvy or pellagra are not common in developed countries, vitamin supplements may help those in less developed nations where such disease associated with malnutrition are common. In the last 50 years, there has been a lot of interest and research into the use of vitamins to prevent diseases such as cancer and heart disease. Many years ago, Nobel laureate, Dr. Linus Pauling, recommended that we take large doses of Vitamin C to prevent illness and cure or reduce the longevity of the common cold and other illnesses. Most mainstream nutritionists pooh-poohed this idea, and still do. The RDA for adults for Vitamin C is still only 75-90 mg., which is double what it was when I was studying nutrition in college, but nowhere near the 6-18 grams per day recommended by Dr. Pauling in his book, Live Longer and Feel Better. The latest star in the vitamin research world is Vitamin D, since current studies seem to indicate that it may be more important in disease prevention and general wellness than had previously been considered. However, since it can be toxic in large doses, it is difficult to say what level of this vitamin would be therapeutic but not dangerous, without tests to monitor levels in the blood. Of course you can get Vitamin D through sun exposure, but that is another controversial issue with the correlation that has been made between sun exposure and skin cancer and, of lesser importance, premature aging. There are some potential downsides to taking vitamin supplements. -Vitamin supplements may be used inappropriately to replace real food or as a “cure” for disease, as a substitute for potentially life-saving health care. The best way to get the vitamins you need is to eat healthy foods that have been handled and prepared so as to protect their vitamin content. Many foods such as dairy products and cereals are already fortified with vitamins, so including these in your diet may preclude the necessity of further supplementation. Even with all of the controversy surrounding this issue, many health experts still recommend that you supplement your healthy diet with a multi-vitamin/mineral supplement in order to fill in the potential gaps in your diet. You will have to decide which of the many choices of supplements suits your lifestyle and budget. Be aware of dosages and for safety's sake, don't take large doses (more than 100% of RDA) of any vitamin or mineral without the supervision of your doctor. One standard you may consider when choosing vitamin supplements is that of the U.S. Pharmacopoeia (USP) If the product has the USP verification logo, it means that it was produced according to their standard of safety and sanitation, contains what the label says it does, will disintegrate in the body and not pass through whole, and does not contain potentially harmful levels of contaminants. The story about the discarded vitamin pills provides an interesting insight into the mind of a child, since he might have guessed that eventually the pile of pills would be found, and surely there was a more effective way of ditching them, such as flushing them or throwing them in the garbage. He also, did not consider that his mom might have had a good reason for buying the vitamin supplements and dispensing them each day. But children tend to live in the moment, and once he figured out how to avoid the “yucky” taste, he probably didn’t give it another thought. Whatever you decide about vitamin supplements, whether you, figuratively, toss them behind the bookcase or not, I hope you will consider eating a diet of real food with an emphasis on raw or lightly cooked fruits and vegetables, lean proteins, whole grains, healthy fats and a minimum of the empty calories from processed food, fast food and soft drinks. In this way, you are more likely to receive the vitamins and other nutrients you need for vibrant good health. Click here to go from this Vitamin Supplements page to Vitamins page.